Since 1925, The Aurora Theatre has been entertaining guests with Hollywood blockbusters, special events and delicious fresh popped corn. 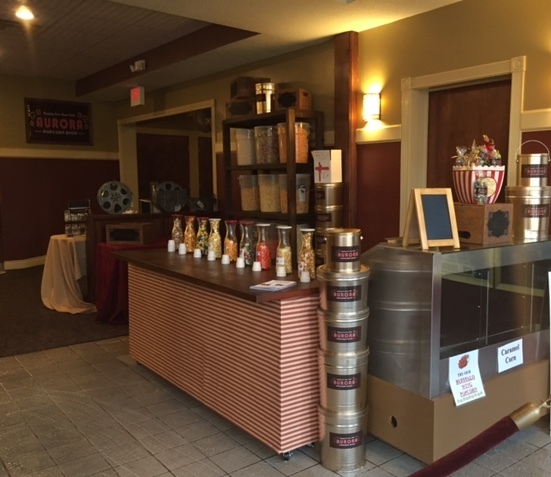 In September of 2015, The Aurora Popcorn Shop “popped” into the theatre’s lobby taking the classic movie popcorn from buttery to savory and sweet. 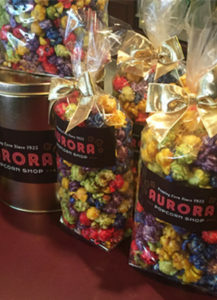 At The Aurora Popcorn Shop, we offer a wide variety of gourmet popcorn including caramel, cheddar, apple pie and Buffalo chicken wing, just to name a few. All the popcorn is made in-house and on a daily basis ensuring a tasty and fresh treat for all popcorn lovers. Our popcorn is packaged in several ways. Our old fashioned kraft bags are perfect for on the go snacking, casual parties and events. Our gift bags adorned with a satin bow are perfect for gift giving. 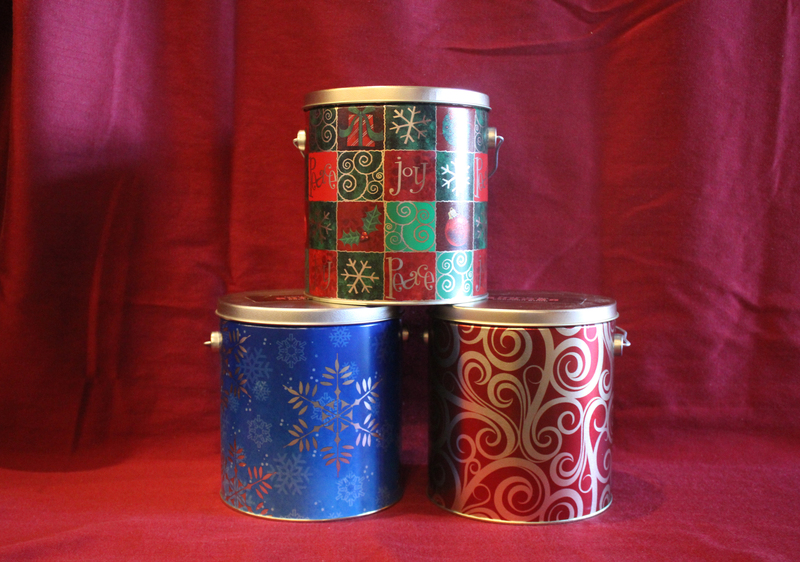 We also have a selection of tins in a variety of sizes and designs. 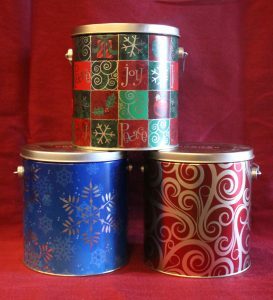 Our classic Gold Aurora Tin makes you a member of “Gold Poppers Club” and includes the benefit of special discounted refill pricing. 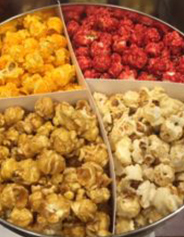 Stop by The Aurora Popcorn where you can visit our popcorn tasting bar and sample all our wonderful flavors. You can also shop online. We can ship within the continental USA. Join our “Gold Poppers Club” and receive club member special and updates! 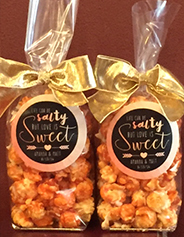 Stop by The Aurora Popcorn Shop as we celebrate this popular holiday with special prices, tastings at the popcorn tasting bar and the introduction of 2 new flavors-Birthday Cake and Salted Caramel! To learn more about this great day and popcorn in general, visit the Popcorn Board’s website at www.popcorn.org.